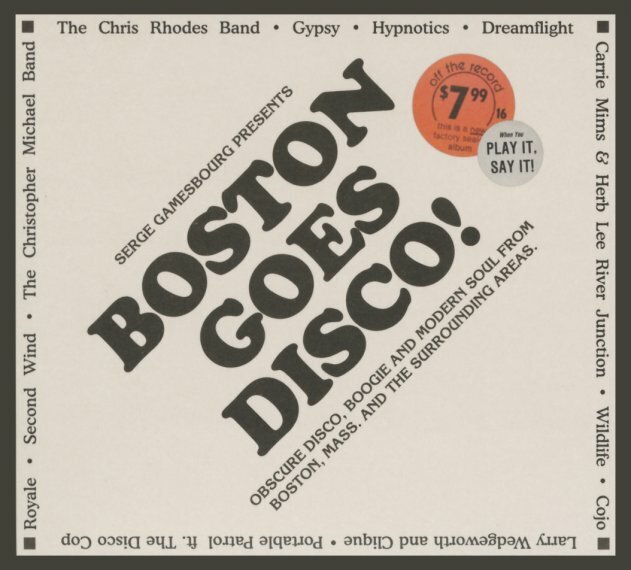 A huge discovery in music – most of which we've never heard before, and which shows that the Boston scene was getting pretty busy during the classic club years – even if the city's grooves never reached the same fame as cuts from New York, Philly, and other points south! The package is definitely a labor of love – put together by DJ/collector Serge Gamesbourg – who's clearly done a hell of a lot of work to unearth these rare singles and small label releases – records that maybe didn't even make it down to New York City back in the day, and which were probably crowed out of the record racks, even if they did! Most of these cuts are nicely rough around the edges – sometimes in more of a fast funk mode, other times with all the cool offbeat touches of indie label club cuts – and almost all numbers get a special Serge Gamesbourg edit, in order to bring out the grooviest elements of the tracks. Titles include "No More Games" by Larry Wedgeworth & Clique, "All In Good Time" by Wildlife featuring Vi Taylor, "Play It By Ear" by Cojo, "Get Up & Dance Don't Want No Party Poo Pershere" by Carrie Mims & Herbe Lee River Junction, "Feel The Music" by Dreamflight, "I Want Your Body" by Royale, "Free For All" by Second Wind, "I'm Gonna Get You (Meeow)" by Carrie Mims & Herb Lee River Junction, "You Make Me Happy" by Christopher Michael Band, "Keep It Comin On" by Gypsy, and "Fire Funk" by Hypnotics. 2CD set features one disc of the music in a continuous mix by Serge – the other with unmixed versions. © 1996-2019, Dusty Groove, Inc.